I had never pre-ordered any camera gear before but I put in an order for the Canon 7D Mark II as soon as it was announced, it will replace the 7D that I’ve been shooting with for five years. It arrived this afternoon so I threw on a lens and took a quick test shot in the kitchen to make sure it was in good working order. Unfortunately the picture suggests something is wrong with the camera, as it seems to show Sam sitting next to the clean dishes, looking like he owns the place. I know Sam isn’t allowed on the counters, and I know Sam knows he isn’t allowed on the counters, so I can only conclude that this is somehow the camera’s fault. 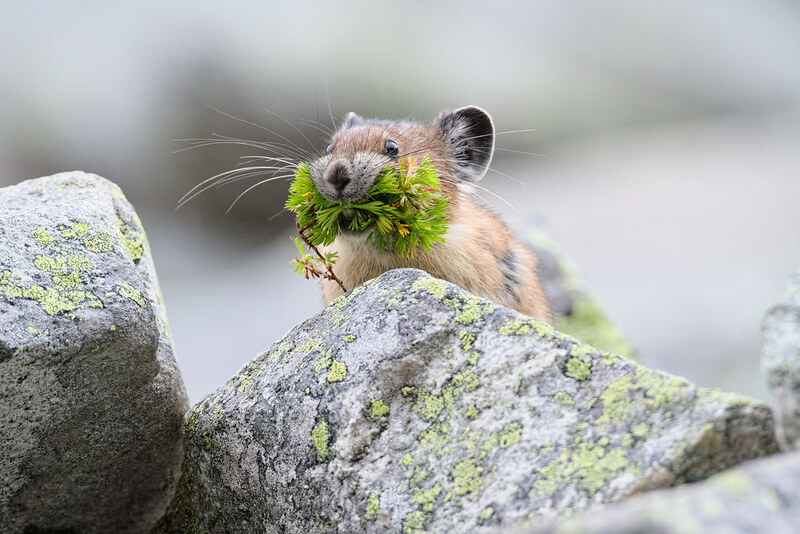 A pika brings a mouthful of plants back to its home to store them for the long winter on Mount Rainier. 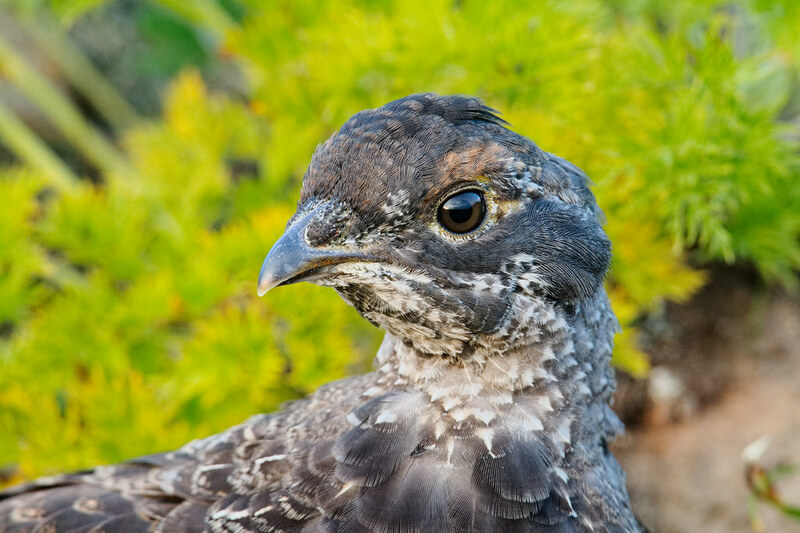 I spent a lot of time with sooty grouse on my last hiking trip, either at Paradise in Mount Rainier National Park or at Hurricane Ridge in Olympic National Park. This grouse is from Mount Rainier on the Deadhorse Creek Trail, just above where it branches off from the Skyline Trail. I hiked a section of the Wonderland Trail on my last full day in Mount Rainier National Park. I was exhausted from hiking on previous days with my heavy telephoto lens, and though I left it behind on this hike, the trail was an uphill slog through the forest and it was raining heavily. Making matters worse, most of the camera gear I hike with is old with no weather-sealing. Plus I discovered the hard way that my trusty old hiking boots were no longer waterproof. The clouds were so low I couldn’t even see the mountain when I reached a clearing up top, so my spirits were a little low. On the hike back down I made myself stop and adjust my attitude. I love hiking in forests and decided my little camera was coming out in the rain, and if it died, it died. I started photographing bark and moss and was having a good time and couldn’t resist a picture of this tree that reminded me of an Olmec head (I always think of the one Mr. Burns gives Bart on the Simpsons). I sometimes think Sam is filled with jelly as he can adapt to whatever position I’m in as he snuggles up to sleep. He’s been sleeping in my lap all evening as I get caught up watching Doctor Who. While the previous day poured rain, sunshine arrived in the morning. I spent the early hours looking for marmots on Hurricane Hill but found none, and as the sunny Saturday attracted crowds, I decided on one last loop around the Meadow Trails before heading over to the western side of the peninsula. 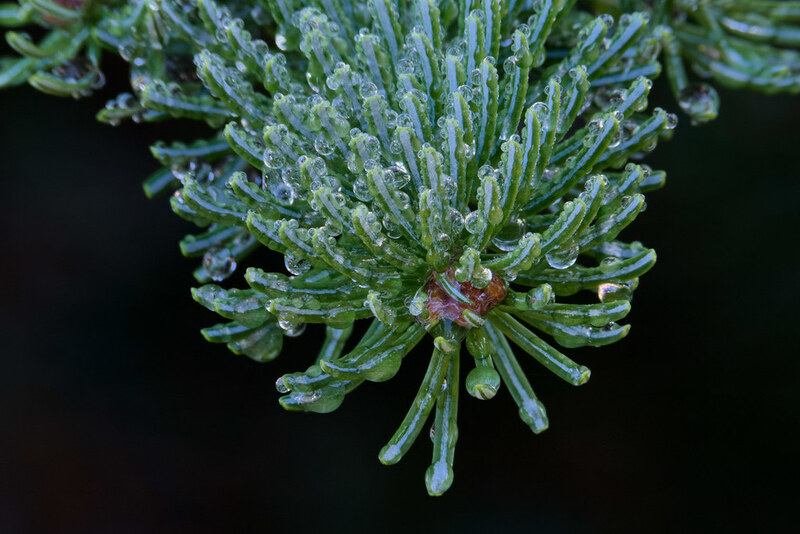 I stopped when I found one small section of trees still in shade and noticed their needles were covered in water drops and tiny little cones were beginning to grow. Normally I’d use a macro lens for shots like this but you can’t leave the trail in this fragile environment and the needles were too far from the trail, so I used my 500mm lens, teleconverter, and extension tubes instead. My tripod isn’t sturdy enough for this much weight but I used a remote release and hoped for the best. I had to work quickly as the sun was lighting up branch after branch as I photographed them (it’s even lighting up a drop on this branch). It was the last of my pictures as after this all the branches were drying in the sunlight. I didn’t notice it at the time I took the picture, but I love how the two small needles look like arms cradling the small cone. 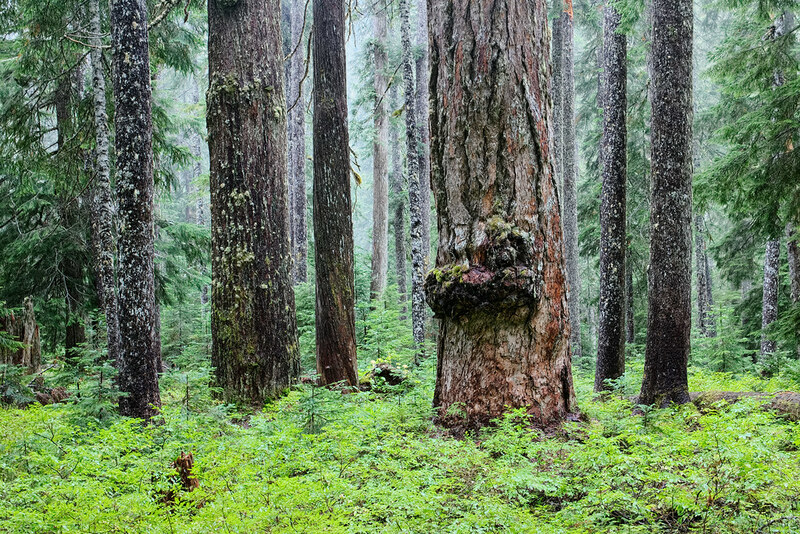 I think this is a subalpine fir but don’t quote me on it. Emma lost more weight than we expected, started throwing up more than normal, and her appetite dropped off. Despite extensive blood work and an ultrasound (you can see part of her belly that got shaved for the ultrasound) there still isn’t any definitive explanation. We are switching the protein source of her food and giving her anti-nausea medicine and she seems to have stabilized, though she is still well under her normal weight. She doesn’t appear to be in any immediate danger, and her behavior is normal, but I’ll be a lot happier when her weekly weighings show she’s putting on weight.